Elegance … opulence … formality. Cunard’s Queen Mary 2 is a ship like no other, equally at home sailing the oceans or cruising the world. And it was described in considerable detail by BTNews Editor-in-Chief Malcolm Ginsberg, whilst crossing the Atlantic in style. What more is there to say about this Queen of the Carnival shipping empire? Quite a lot in fact, though if you want the full story you’ll need to refer to the conveniently archived back issue (19 December 2011). But here’s a quick recap. Queen Mary 2 was the first major ocean liner built since Queen Elizabeth 2 in 1969, the vessel she succeeded as flagship of the Cunard line. At the time of her completion in 2004 by Chantiers de l'Atlantique, Saint-Nazaire, she was the longest, widest and tallest passenger ship ever built and is still the largest liner at around 150,000 gross tons. Electric power for the four 21.5MW Rolls-Royce/Alsthom propulsion pods comes from two GE gas turbines and four Wartsila diesels, but it is the gas turbines that run on relatively expensive diesel oil and the diesels on much cheaper marine fuel. Work that one out. Maximum number of passengers is normally 2,620, plus about half as much again officers and crew. Theoretically the ship could take up to 500 extra passengers (mostly children) in convertible settees and bunks, but to do so could be an embarrassment, as many are in the superior suites and the numbers would exceed the single-sitting capacity of the Queen’s Grill and Princess Grill restaurants. However the kids’ facilities are excellent according to both parents and children we spoke to. With my wife and business partner Sandra, I made sure to travel POSH: “Port Out, Starboard Home.” This maxim came from the old days of the British Raj and sea travel to India and beyond. Following this advice meant that, in a ship with no air conditioning (it had yet to be invented), you would always be on the cooler side. On the transatlantic run between Southampton and New York, your balcony (most QM2 staterooms have balconies) can catch the sun for up to 12 hours a day, with a cool cabin to escape to when it is too hot. 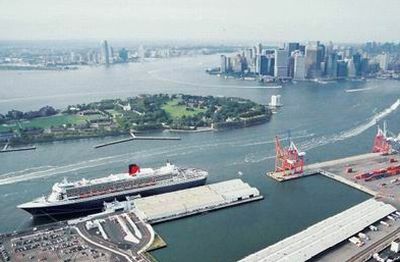 Contrasting with Malcolm’s experience, we flew first from Heathrow to New York, where I was attending an editorial conference, spending a couple of extra days’ sightseeing before joining the ship at Carnival’s rudimentary but effective Brooklyn pier. 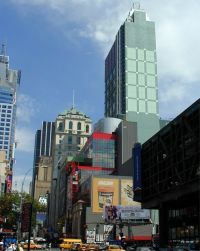 As an aside, let me recommend the Hilton Times Square (our choice) on 42nd Street as an ideal central New York location, handy for entertainment and sightseeing and, with taxis at the 41st Street door and both buses and subway lines a few steps from the front, equally convenient for business, museums and galleries. Room comfort is all that the Hilton name implies, and it also boasts modern business facilities. It seemed strange to see its main restaurant (which serves excellent food) on the reception floor, until one remembered that this was already 22 storeys above street level, with dramatic views above the bustle of Times Square. We were lucky to have a corner room on the 36th, with views in both southerly and westerly directions. Accommodation on the QM2 is well up to the best hotel standards, though you will need a suite if you prefer a tub to a shower – or a butler to a stateroom steward. But there are excellent bargains to be had, especially for the slightly adventurous. For example, the deluxe balcony staterooms on deck 8, with a view partially obstructed by lifeboats, are often available (as in our case) for little more than an inside cabin with no view at all. The flight/cruise package is very attractive including The Hilton. I have already mentioned propulsive power. Cunard has found that, using only the diesels (marine fuel – as above), transatlantic speed can be maintained at 21.5 knots and passengers are given an extra day at sea (seven instead of six on the Brooklyn – Southampton run) without reducing company profits. But the QM2 had another surprise for its newest customer: the mid-day time change. On all other ships on which I had travelled in an easterly direction (including transatlantic on the old Queen Elizabeth 2), clocks and watches had always been put forward during the night. This meant losing an hour’s sleep on each of five (generally consecutive) nights during the crossing, in order to have meals and other activities at their set times. 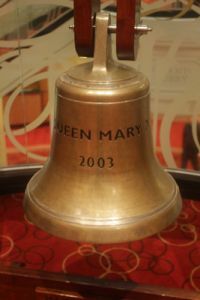 By contrast, on five of the sailing days, the QM2 put the clocks forward at noon, at the sound of eight bells on the centrally located ship’s bell (fig 5). No-one lost any sleep, missed a meal or failed an activity between noon and 13:00, because that hour did not exist. I have not yet checked whether the QM2 was the first to employ this very sensible system, or whether non-Cunard cruise ships now also do so during autumn repositioning, but I can certainly recommend it. Though the world’s largest liner (as against cruise ship), the Queen Mary was designed to minimise walking time and distance for the average passenger. By placing the main (Britannia) restaurant forward of the monster galley, the restaurant is moved much closer to the centre of the ship. In addition, of the two theatres in the bow, the main Royal Court Theatre is also located nearer the centre, minimising the distance between food and showtime. Illuminations, the second theatre, is used mainly for lectures, but can also double as a planetarium. 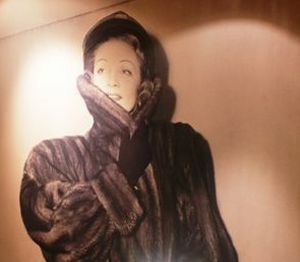 Between the theatre and the restaurant, the Golden Lion pub is the venue for less formal entertainment such as quizzes and karaoke. The galley that serves QM2’s Britannia Restaurant, producing almost 16,000 meals every day. Consumption during a single crossing includes 14t meat, 9t poultry, 15t fish and seafood, 55t fresh fruit and vegetables, 22,000 litres fresh milk, 37,000 fresh eggs, 4.5t flour and 2.2t sugar. Large-screen digital monitors can conjure up the recipe or appearance of any dish, at the touch of a button. 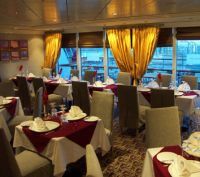 The Queen’s Grill and Princess Grill have their own common galley situated between the two restaurants’ on deck 7 amidships. Other than a lounge and small concierge area passengers in the superior suites mixed freely with the rest of us. Formality is part of the fun of travelling on a heritage-packed ocean liner. 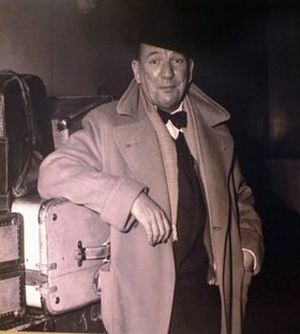 In just seven nights of ship-wide dress codes, three are “formal” (tux preferred), two “semi-formal” and two (post-departure and pre-arrival) “elegant casual”. So the ladies can “dress for dinner” every night. Of course you can eat very well in casual clothes, without jacket, tie or tuxedo, but you’ll probably be doing so in the self-service restaurant, alternative eateries or via room service. And you’ll be missing the justifiably famous Todd English restaurant, the finest ambience, food and service that Queen Mary 2 can offer, which more than justifies its modest supplement. 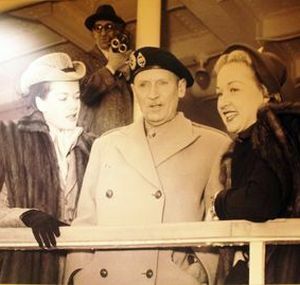 QM2 Photo Gallery: How many of these previous Cunard passengers can you recognise? No prizes as the answers can be found at QM quiz result.